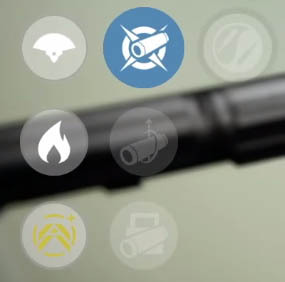 Bungie have increased the maximum light level for the House of Wolves, allowing Guardians to take their Destiny characters all the way to Level 34. With the right amount of skill and thankfully less of lady luck we can all get to Level 34 by following a simple process - which I've outline below. I appreciate that not everyone delved into The Dark Below DLC and I'll take things slowly for those of you just catching up. No matter what your current Light Level, Bungie have given everyone the option to reach 34 in a similar way, it's just that those below 32 will have a little catching up to do. First let's go through the basics of reaching the maximum Light Level.. In order to reach the maximum light level you must own at least 3 "End Game" Legendary armour pieces in addition to 1 Exotic armour piece. Alternatively you can equip 4 pieces of "End Game" Legendary armour to reach the same conclusion. When I speak about End Game, this used to be considered as just the Raid but we know that the Prison of Elders (Survival, PvE) and Trials of Osiris (PvP) both reward the highest level armour so we consider both of those activities as "End Game". One big change in the House of Wolves is the removal of Defense slots in the upgrade trees of Armour pieces. Put simply there is no longer the requirement to grind out planetary materials and glimmer in order to reach the highest Light Level. Instead Bungie have simplified the upgrade tree for all armour and weapons, meaning that only perks need to be unlocked rather than the damage or defence slots. Some numbers are always useful and in the House of Wolves, each armour piece must have a Light stat of 42 to be considered as House of Wolves grade. Anything below this will NOT get you to Level 34 overall. Just like they did for The Dark Below DLC, Bungie created a straightforward method for reaching the previous max light level (which is now Level 32). Players can simply purchase armour straight from the Tower Vendors (Crucible, Vanguard, Factions) using Marks in return for Level 32 ready armour. No need to run any Raids if you've got enough of the core currency. Armour pieces are typically cheaper than weapons, costing from 75 marks upwards. TIP: You've also got the option to run through the Raids and the Vault of Glass would be a great starting point considering its low level. Bungie have hinted that VoG will drop Level 32 gear as well. The image above shows the Ascend slot for an Exotic weapon. The same slot is present on both weapons and armour. Ascending weapons and armour is the new way to promote your gear from the old attack/defence stats to the new House of Wolves levels. This is 365 for attack and Light 42 for armour. Ascending an Armour piece requires minimal effort - no vendor (Xur) and only a few materials. All you need to immediately change your old Exotic to a new one is to use 1 Exotic Shard and some Glimmer. Simply open the Exotic armour piece and you'll see a new yellow slot which looks like two arrows pointing vertically (shown in image above). Select the slot and the armour immediately ascends to light 42 - the new maximum stat. Newbie Note: Exotic shards can be bought from Xur or they come as a by-product from dismantling Exotic armour or weapons. You are now a quarter of the way to Level 34. The Prison of Elders (End Game) is locked away until players complete the story missions. Since we need this End Game content to earn high level armour pieces, we need to unlock it first. Enjoy this part of the DLC as it's the backstory and noticeably easier than the End Game stuff. The Nightfall for the first week of the House of Wolves will be The Shadow Thief and this is only unlocked after completing the new story missions (in the same way as Omnigul was only unlocked after completing TDB quests). Why complete Nightfall now? It's all about the bonus rewards for Nightfall which persist until weekly reset. From memory you'll earn 20% bonus reputation across all activities which includes House of Judgement reputation. 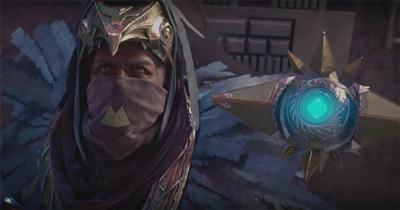 This will help you quickly reach a higher rank, giving you the chance to exchange cores for armour pieces with Varik's. The Level 32 challenge for the Prison of Elders is a rotating End Game that changes on weekly reset. The level and rewards always remain constant but the type of enemies you face and the final boss will vary each week. 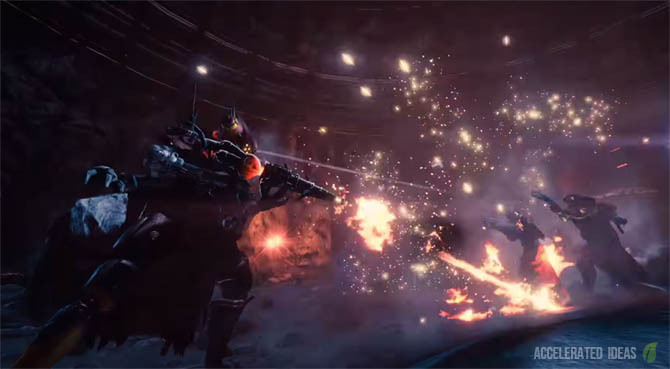 One such example is the Broken Legion where guardians face against Valus Trau'ug, a Cabal boss whose shields shift between Solar,Void and Arc. Rewards for completing Level 32 include 200 House of Judgement reputation in addition to an Armor Core. Variks, the new Reef Vendor responsible for handing out Prison of Elders gear will happily exchange an Armor Core for his Armour piece on offer that week. Now that you have an ascended exotic piece and an armour piece at the House of Wolves level, you character will be Level 33. For those wanting to hit 34 asap, find two other Level 33 guardians and complete the Level 34 Prison of Elders. This rewards you with a Weapon Core and Etheric Light. The Weapon Core can be exchanged for a new weapon from Varik's but more importantly Etheric Light can be used to Ascend any of your existing armour to the new stats. This includes both new and old armour, just as long as it's legendary. Warning: This will be a very difficult challenge, on the same level as a Hard mode raid. Now that you've got Etheric Light simply open a legendary armour piece in the character viewer and select the yellow circle to Ascend the item to the new Light 42 level. Alternatively: If you're happy to wait a week, then you could swap this step for a repeat of Steps 5 and 6. The reason is there's a weekly lockout on some of the Prison of Elders challenges, and only after a weekly reset can you replay the same activity for additional rewards. There's also the problem of Varik's not offering a new armour piece until the following week. By this stage you're a 75% of the way to Level 34. Just one final push and the jobs done. Hopefully you know that multiple characters of the same type can help you earn more rewards in the same week. If that's you then you can simply shift your new armour to the vault and use your alt character to complete the story missions and repeat Level 34 of the Prison of Elders. With the new Etheric Light reward you'll be able to Ascend your final Armour piece taking you all the way to Level 34. If the alt character principle is new to you, or if you're happy to wait for weekly reset then simply take it easy and repeat steps 5 and 6 to earn an Armor Core and exchange it for a new armour piece every week. This will still get you to Level 34.